Armley Junk-tion Market Day celebrates West Leeds | West Leeds Dispatch | News. Views. Get involved! 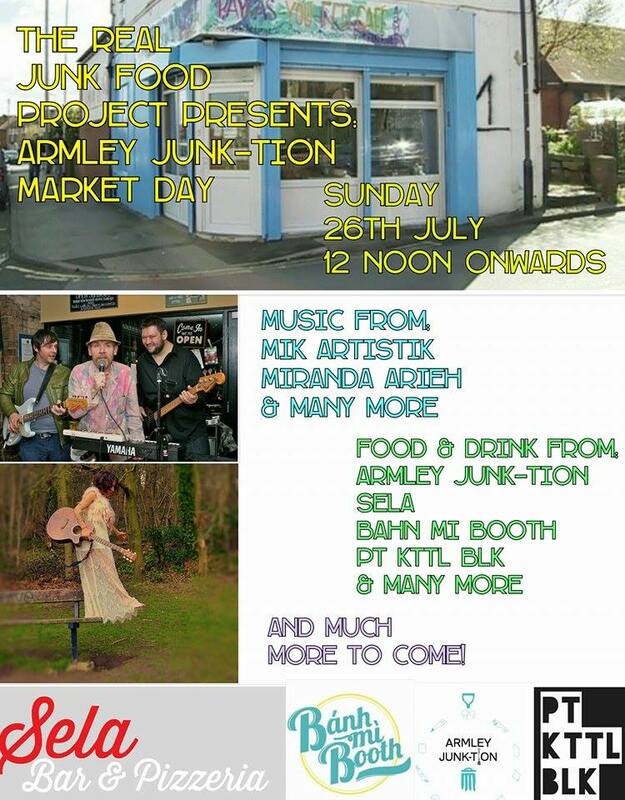 Armley Junk-tion Market day in celebration of all things good in Armley! Collaborating food and events from around Leeds, the event – on Sunday, July 26 – will bring together people, businesses and organisation based in Armley and West Leeds. Armley Junk-tion will be holding a ‘food boutique’ ‪#‎PAYF‬, and the cafe will be open all day. We also have Sela Bar, Bánh mì Booth: Viet Street Food, Pt Kttl Blk & All the Tea & China with many more to confirm. Along with music, headlined by Armley’s Mik Artistik, and supported by Miranda Arieh – Music Page & Dave Lynch to name a few, we also have workshops presented by Craig Worrall from Edible Leeds, yoga and massages #PAYF by Chelsey Elizabeth Needham and much much more. Bunting's out for Armley Junk-tion Market Day!